Mississauga criminal lawyer, Morrie Luft, is an experienced criminal lawyer who provides first class representation for all criminal and drug related offences. In addition to experience, it is necessary to make sure you hire a criminal lawyer who will carefully examine your case and search for every possible way to defend you. Mr. Luft is an experienced criminal lawyer who is dedicated to ensuring every accused he defends receives the absolute best defence. In this pursuit, he will work tirelessly to put forward every argument and defence that is helpful to your case. For more information on the types of charges I defend against click here. If you are alleged to have committed an offence in Mississauga, your case will be heard at the courthouse located at 950 Burnhamthorpe Rd W, Mississauga, ON L5C 3B4. All youth and adult criminal and drug cases are heard at the same courthouse. 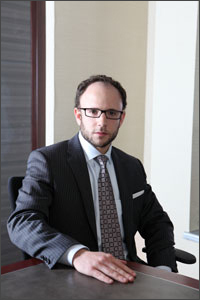 To schedule a free initial consultation with a Mississauga criminal lawyer, contact Morrie Luft at 416-433-2402.